Let me just say up front — this is not a review. It is a recommendation. Just a few years ago if you’d said about a movie you’d just seen that it was as good as the best thing currently on television, people would have assumed you were damning the film with faint praise. How things have changed. You can hardly read or hear anything about the entertainment industry these days without someone commenting on the new Golden Age of television. A-list movie stars headline shows on cable and streaming services while feature film writers and directors declare that getting a series picked up is the new (preferred) version of a 3 picture deal. Critics, pundits and your co-workers all seem to agree that the new breed of television series is doing what quality film used to do. Well, run to your local cinema while you still can – because A MOST WANTED MAN is as good as any Netflix original series you’re going to binge on tonight. Based on the John le Carre spy novel of the same name and set in current day Hamburg, A MOST WANTED MAN provides counter-programming to the summer studio tentpoles in the forms of street-level settings, unvarnished characters, and complex perspectives. It’s a spy movie with a POV we’re not used to seeing. The film is intimate and unsettling. It is serious filmmaking that is seriously entertaining. MAN has the kind of slow-boil-plot with a gobsmack payoff that we’ve come to expect from a ten-episode arc on a hot, new HBO series. And it’s all done in a just a hair over two hours. Much has already been speculated about the hard-not-to-notice parallels between the beleaguered and brilliant lead character in this movie and the actor who plays him. 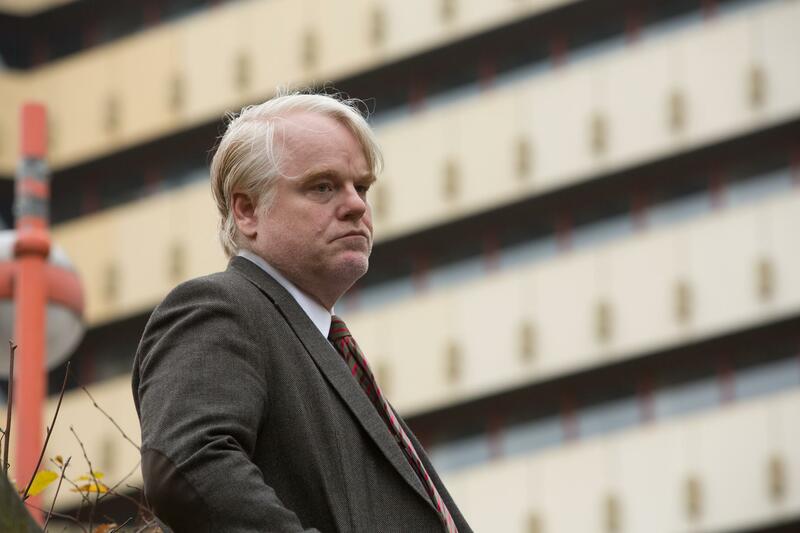 This is Philip Seymour Hoffman’s final lead role. (He will appear in a supporting role in the upcoming HUNGER GAMES sequel.) Hoffman’s performance here doesn’t lead me to wonder about his personal life as much as it reminds me how masterfully he inhabited his characters. Whether you call Hoffman’s GUNTHER BACHMANN an antihero, a conflicted hero or a complex hero — he is a man of vision and action who is increasingly out-of-step with the people who hold the real keys to power. He’s running out of time and options. If you appreciated the work Hoffman did before this, then A MOST WANTED MAN is a must-see film. Thirty years and roughly 3 weeks ago, I ate at Chili’s for the first time (the original location on Greenville Avenue in Dallas). I saw GHOSTBUSTERS for the first time the same day. One of those institutions has fared better than the other. I’ll give you a hint which one has not: the Greenville Avenue Chili’s closed in 2007 and was eventually demolished to make way for a 7-11. The chain is doing fine as far as I know but I can’t remember the last time I ate in one – and I used to frequent the place. 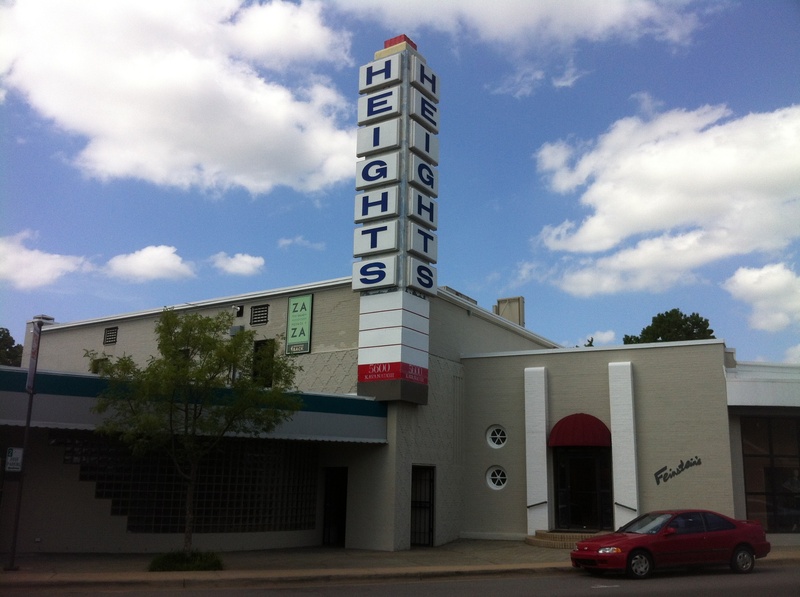 I came home from Dallas after having seen GHOSTBUSTERS on its opening weekend and promptly went to see it again at the Heights Theater on Kavanaugh. A high-end women’s clothing store, Feinstein’s, now occupies one side of that venerable old building and ZaZa Pizza Kitchen occupies the other. My point – and I do have one – is that restaurants can start out strong and eventually lose their way, theaters can close and retail stores move in, but movies are forever. A film is like a painting that moves and talks. It might be a major work or a minor one. It can be flawed or a masterpiece. But whatever it is when the paint dries, that’s what it will be as long as it exists. If you watch a film today that you loved thirty years ago you might come to the conclusion that it’s not very good after all. In that scenario I’m relatively certain you’re the variable that changed. Not that there’s anything wrong with that. There are things we enjoyed in our youth that don’t hold up very well under closer examination when we’re older. That possibility is what makes revisiting a movie you loved decades before — only to discover it still works for you — such a delight. Thirty years on, GHOSTBUSTERS holds up for me. It is absolutely of its era but it’s timeless because it has its priorities straight: character, story and plot, in that order. It’s my favorite kind of comedy – a story with a big, ridiculous idea at the center that’s played straight by the cast and crew. Of course there’s silliness along the way but the humor comes from character and gags that make sense within the story. A lot of credit for that must go to screenwriters Dan Aykroyd and the late, great Harold Ramis. The movie is perfectly cast all around but nowhere does it shine like it does in the lead role. Aykroyd and Ramis wrote Peter Venkman to fit Bill Murray to a T. It is Murray’s movie-playground from start to finish. 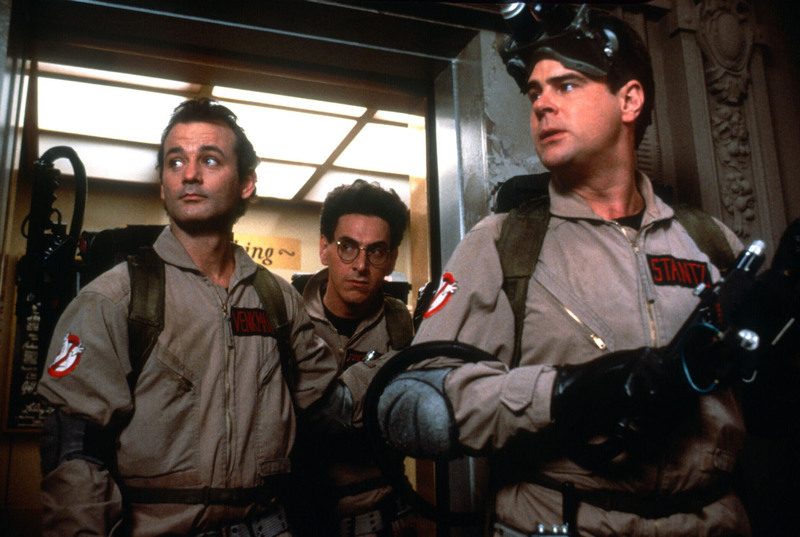 GHOSTBUSTERS, like several standout comedies of that era, is a visual and aural feast. It takes such great advantage of the NYC locations that it deserves to figure prominently on any list of Best New York Movies. It’s beautifully shot like a “serious” film in 2:35. The color and composition in each frame were captured just right by the late Laszlo Kovacs under the watchful eye of Director Ivan Reitman who was at the top of his game. It’s not just great comedy – it’s great cinema. The Elmer Bernstein score is another character in the film. Ray Parker Jr.’s Ghostbusters Theme (Who You Gonna Call?) became a smash hit song and video. (And the basis of a lawsuit that he lost to Huey Lewis and the News.) The Ghostbusters Soundtrack was in heavy rotation on my car’s cassette deck and in my Walkman during the summer and fall of ’84. Peter Guber calls movies “emotional transportation”. That’s an apt description. Movies carry emotions to audiences willing to experience them. Movies also transport us to places and introduce us to people we might never experience otherwise. But movies also have the power to transport us to times in our own pasts. That’s their real magic. I saw GHOSTBUSTERS at the Heights Theater at least three more times that summer. In those days if you loved a movie and wanted to see it again you had to go to the theater because it might be years (literally) before you could watch it at home. Over the last 25+ years since I’ve owned the movie on VHS, DVD and Blu ray. And now, as I write this, it’s streaming on my iPad. No matter what platform I see it on, watching it still transports me to June 1984. Times change, tastes change, and of course technology changes. Movies are forever. NOTE: Now that another June is behind us I’m posting this and two other June memories — three events that happened 30, 33 and 35 years ago that have informed and impacted my life and work today.